Alastair Miller started his career in guitar making over a decade ago, building guitars for the DeJonge Guitar Co.
Over the years Alastair has continued to grow, building everything from his acclaimed acoustics and electric Barncaster.com Guitars, to banjos, lapsteels, hollow body's, and countless one-off projects. His instrument variations are as wide as his musical tastes. Alastair plays the Toronto scene regularly with old time fiddle band The Cowan House Ramblers, country jazz pickers Uncle Dad and the Grandbrothers, and chicken picken' rockers Hatchetmen. Alastair currently works out of his workshop in central Toronto. 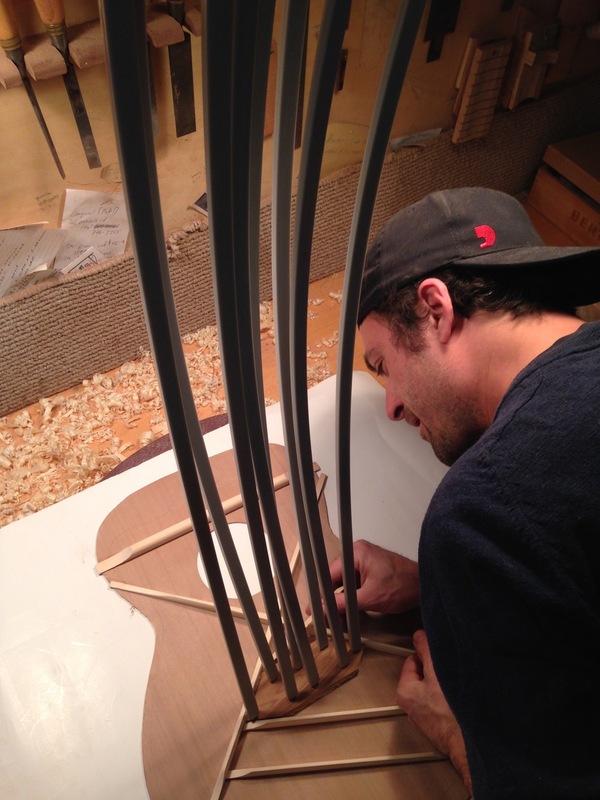 His guitars can sometimes be found at The Twelfth Fret, and otherwise are ordered directly for custom builds. Also worth mentioning is Alastair's long time collaborator, fellow Luthier, and Inlay Artist, Mark Kett.